It's 10 o'clock and you are tuned to WMBR – Cambridge. 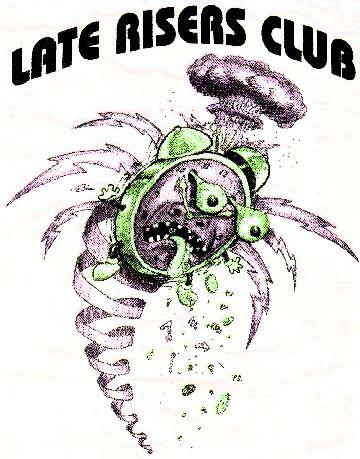 Welcome to the website of WMBR 88.1 FM's Late Risers' Club, a weekly radio show that has been bringing punk rock to the greater Boston airwaves for 34 years and counting. We're trying to make the site a little more exciting than a few playlists a week. Hopefully some pics of the Dwarves' acoustic set and MP3s. Maybe start doing some show reviews again. Feel free to send questions, comments and suggestions to us via email at late@wmbr.org. Stay tuned!! !